What if Taylor’s worrying for nothing? What if Sierra’s just being Sierra, forgetting about everyone else to spend time with her new guy? When Taylor finally tells Sierra’s mum that her daughter is missing, Taylor and her friends are thrown into a dark world they never even knew existed. Can Taylor find Sierra’s abductor in time? Or should she be looking for a killer? This novel should be (if it’s not already) introduced to the high school curriculum – it should be required reading for girls between 12-18 years old who are online and who have social media accounts. 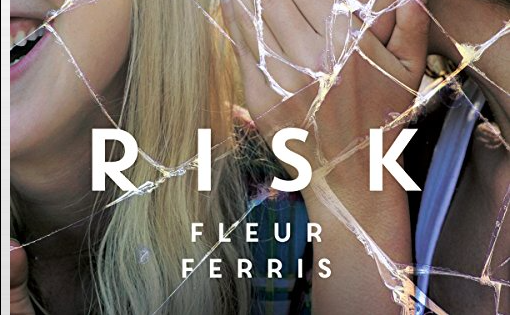 Risk explores the ‘worst case scenario’ of a young girl talking to a stranger online – a young girl thinking that the stranger online is a young, good-looking boy, but who is actually a middle-aged predator. Risk is different to a lot of other YA books in the market, and it comes from a lot of truth. The author used to work as a police officer and a paramedic, and has witnessed the events that she writes about. It makes this novel heartbreaking. The novel also takes a unique turn when the main character starts up a blog to raise awareness about this situation. Her friend goes missing and the blog becomes a tribute. Other girls who have experienced this same situation start to come forward, and this blog also helps girls stop themselves from making the same mistake that Sierra made. Most reviews I’ve read have praised the fast-pace of the novel, but I actually think this is a flaw. I don’t think Fleur fleshes out Sierra enough before she gets kidnapped, so we don’t understand her character as much as we could and we therefore don’t worry about her as much as we should. Plus, Taylor’s jealousy of Sierra doesn’t seem warranted. We don’t understand it because it’s skimmed over a little too quickly. And to be fair, Sierra didn’t know that Taylor was also talking to the same guy. Taylor’s grudge didn’t seem authentic to me. Despite the fact that I think the characterisation could’ve been better and that the plot perhaps moved too quickly, this novel serves its purpose to educate girls on the ‘what if’ scenario. 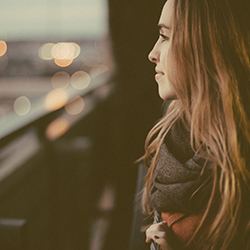 What if you started talking to someone online and wanted to meet up with them? What if you did meet up with them? What if they weren’t who you thought they were? This book is supposed to be an eye-opener, and it does just that.